Any accomplished golfer will tell you that when the weather is bad, the game becomes much more challenging to play. 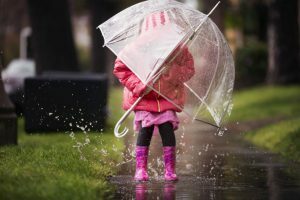 That’s why having the best golf umbrella becomes essential as it does a great job from protecting you and your golfing gear from strong winds and rain; it really can give you that all important edge. 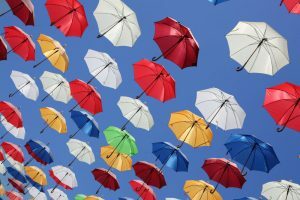 At The London Umbrella Seller, we’ve been designing and testing umbrellas for many years, it’s no exaggeration so say we really understand every aspect that makes an umbrella. 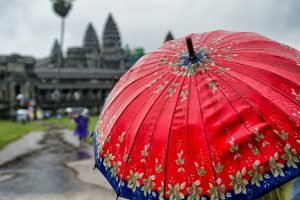 We’ve researched hundreds of brollies and come up with five superb models that we believe make amazing golf umbrellas. We’ve done all the leg work to make your life easy! After carefully testing several golf umbrellas on the market, we managed to narrow it down to these five. Each of them is highly durable that will do an excellent job on the golf course. 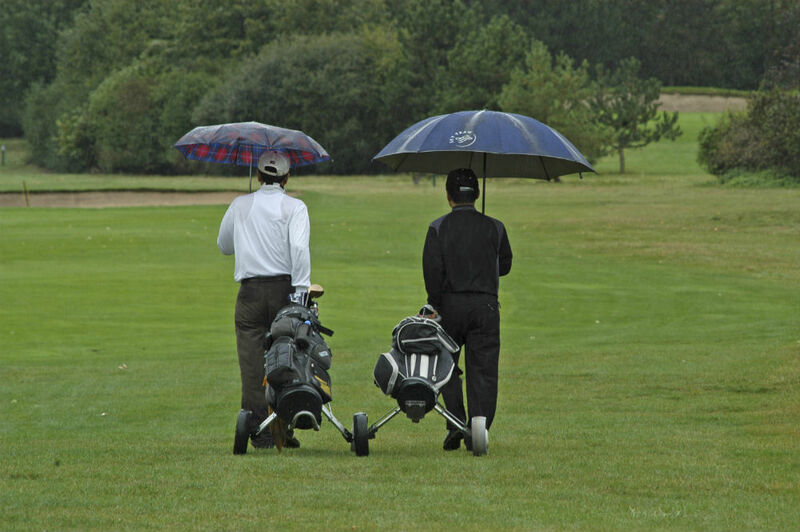 The Bagail Golf Umbrella is a professional umbrella used by several golfers as it is highly durable. It is available in three different sizes which include 58 inches, 62 inches, and 68 inches. There is also a wide variety of color options you can choose from. All-in-all, there are 10 different color options; some are single colored while others are a combination of colors. 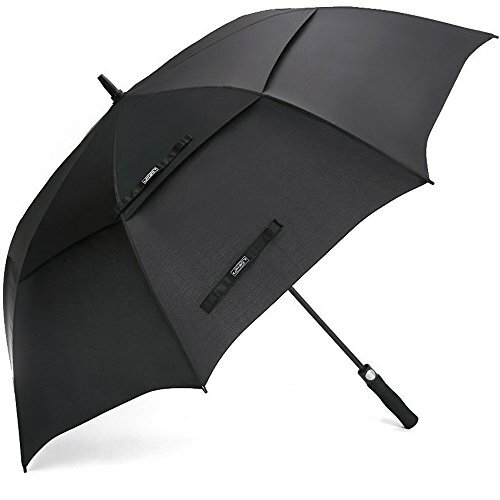 The umbrella has a water-resistant canopy that is made of 190T Pongee micro-weave fabric. It is also mold-resistant and has an SPF 50+ protection which blocks 99.95% of the sun rays. 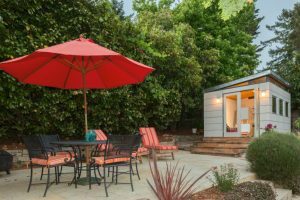 In addition, the canopy is double ventilated which adds extra strength and flexibility to it. The hub, ribs, and shaft are made from fiberglass, and the solid framework flexes with the wind so that it can keep its shape. 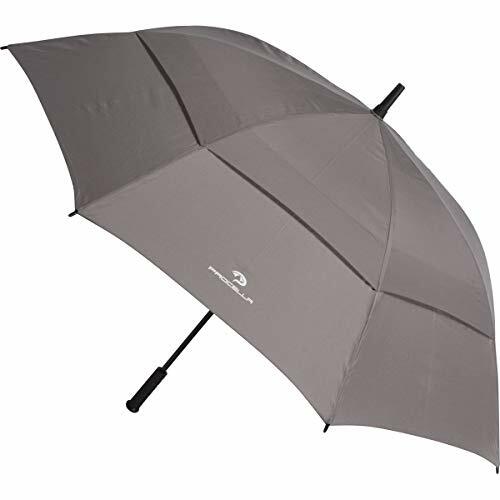 The umbrella has an ergonomic handle which comes with PU coating that maximizes the comfort and grip security. The great thing is that the company offers a lifetime replacement guarantee if you are not satisfied with it. The colors can vary a little from the advertised pictures. If you are particularly looking for a larger size golf umbrella, then the G4Free is the one you need. The umbrella is available in two sizes which include 62 inches and a whopping 68 inches. 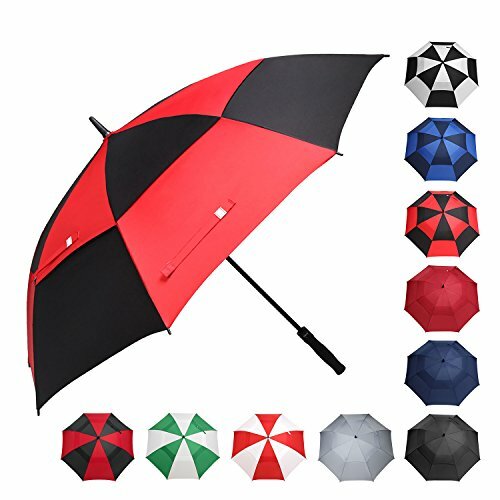 The company offers this umbrella in 11 different and elegant color options. Some of these include wine red, navy blue, dark green, black, and dark green. 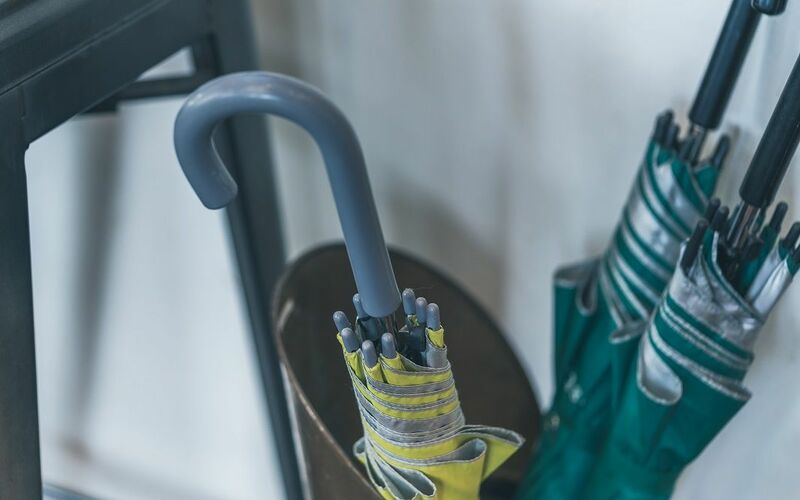 This golf umbrella is built to last as it has a frame that is made using hardened stainless steel and is coated in a high-quality black resin. It has an ergonomic design thanks to its highly comfortable EVA grip handle. It has a single-hand operation, so all you need to do is press the button on the handle, and it will open the canopy. The umbrella is constructed with a 210T Pongee fabric and has a double-canopy design that keeps you well protected in harsh weathers. 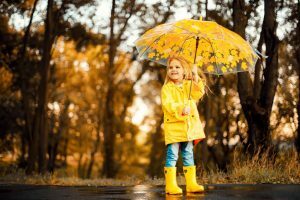 In spite of all these high-quality features, the umbrella is very light in weight while being flexible and strong to withstand strong winds. 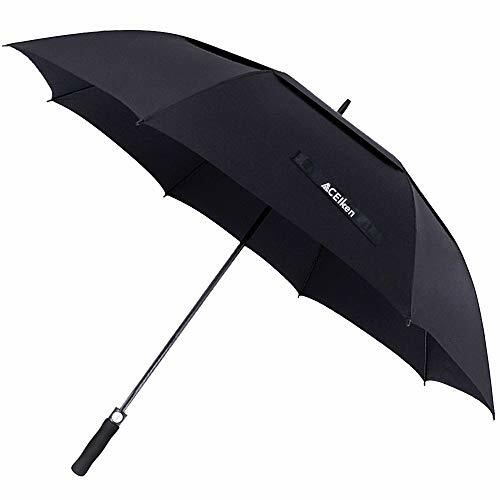 The ACEIken Golf Umbrella is a large and long-shafted umbrella. 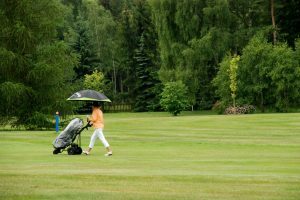 It is available in a 62-inch size that can easily cover two adults or you and your golf gears when you are on the golf course. It is available in three colors, namely black, red, and blue. The umbrella has a strong shaft that is made from fiberglass, which gives it unsurpassed stability. Along with the eight, strong umbrella ribs, it makes sure that it holds up even against strong winds. This umbrella is clearly built to last a long time. The handle has a super soft sponge which makes it highly comfortable to hold even for longer periods. Additionally, it has a single-hand operation with the button on the handle to open the canopy. The canopy is made out of a high-density 190T Pongee fabric which allows the umbrella to dry quickly and it has a dual-canopy design. Lastly, it has a mesh non-conductive frame that will protect you if you ever get struck by lightning. The handle cover can slip off. The Procella Golf Umbrella is a highly durable umbrella that is capable of withstanding strong winds. The umbrella is available in a 62-inch size canopy. You get three different color options to choose from. 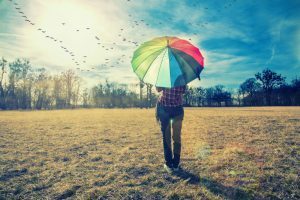 The umbrella is tested against the harshest possible environments. This includes going at 46MPH wind tunnels to even violent storms such as Hurricane Matthew. The Procella Golf Umbrella survived all of it. The umbrella has a waterproof double canopy mesh vent system which can offer superior resistance from the rain. Furthermore, its frame is made from flexible fiberglass which will not break easily. As if that is not enough, the sturdy fiberglass shaft is built in a manner so that it will never rust. This makes it possibly the most durable and dependable umbrella you will ever own. There is also a slip-resistant handle. It has a comfortable ergonomic design which offers an easy and quick automatic pinch-less deployment, just with one hand. Team Golf is one of the largest suppliers of accessories for the NHL, MLB, and NFL. The umbrella is available in a 62-inch sized canopy. 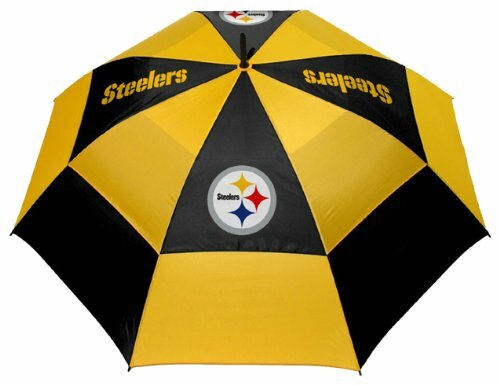 The company offers their umbrella with the team name printed over it. There are several team names to choose from including Pittsburgh Steelers, New York Giants, San Francisco 49ers, Seattle Seahawks, and Jacksonville Jaguars. 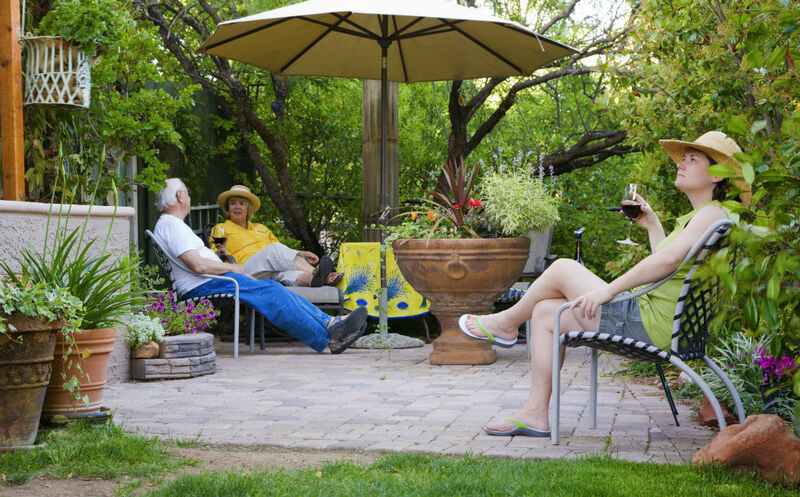 Regarding its features, the umbrella comes with a double-canopy design. This does an excellent job of protecting you from strong winds. The fabric used to make the canopy is 100% nylon. Lastly, the handle has an auto-open button that allows for one-hand operation. Choosing any one of these five best golf umbrellas will ensure that you have a smooth game on the golf course. Each of these is loaded with highly impressive features. Amongst all of them though, the Procella Golf Umbrella is one that definitely caught our eye. 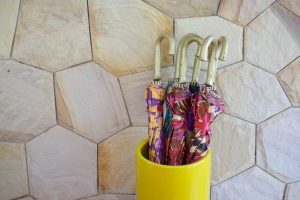 This umbrella is built with only premium materials. It is heavily tested against harsh conditions and survived it all. This only goes to say that it will do an excellent job when you are on the golf course.